It's not official until it's on Twitter. Therefore, it must be official: G. Love is heading out west to record a new album. You can read the tweet for yourself, but if you're looking for a deeper analysis, here it is. First, Jack Johnson will be producing it, so look for it to be a much more laid back, surfer style type album than his last, Fixin To Die, which was recorded by The Avett Brothers. Chances are this new record will probably even delve back to G's roots of street music, with a little bit of a hip hop and soul vibe as well, as that was the kind of music he was recording when he first teamed up with Jack Johnson on the song "Rodeo Clowns." 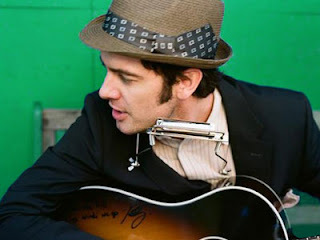 As a long time G. Love fan, I'm personally excited to see him record his first solo acoustic record since Oh Yeah! in the 90s. Through line-up changes and significant genre flip-flopping, I can only hope this new venture can yield such soulful results that come from recording from recording from the heart, as is prevalent in his older albums, Philadelphonic, The Electric Mile, Yeah, It's That Easy, and G. Love & Special Sauce. I really love jack Johnson. I saw him at roo in 07 and it was one of the happiest shows ive been to. Sometimes I think hes underrated because a lot of his songs sound the same, but he really is a great lyricist. Great post keep up the hard work. Check these out IStillGotMyGuitar.